Why is this team meeting such hard going? Sometimes a successful development intervention entails no more than raising awareness about something that people are already equipped to fix. They have the ability and the motivation, but cannot pinpoint what the problem is or what they should do differently. It’s a common problem for teams. Let’s illustrate this using ‘Stuart’s experience in his role as a Managing Director responsible for a large team with a complex set of internal and external relationships. Stuart commissioned a VoicePrint Group Profile for his senior management team to be explored at its annual developmental ‘away day.’ With their agreement the team was observed for an hour first, while it worked on another substantive piece of business. During that hour the team’s VoicePrint coach heard one particular phrase used over forty times. Nobody was aware of it (He established that, because he asked the team if they realised that they used a recurring ‘catch phrase.’) The phrase was ‘I think’ – almost everybody used it – and it came as a prelude to offering an opinion. Its frequency indicated that they were over using the Advocate voice. Too much Advocating had become a regular sticking point, preventing discussions from moving beyond simply exchanging views and counter-views. An Articulate voice was needed to provide a periodic synthesis on which the group could agree and from which it could then move on. One member of the team had this voice in her repertoire but had not yet learned how to make it available in and for the team context. The third problem was that they hardly ever asked each other questions. Probe, Inquire, Diagnose: any of the exploring voices could have lifted the discussion away from its sticking point and re-focused the proceedings on a question or an issue that deserved the group’s collective attention and resourcefulness. A team needs leadership when its conversations get trapped in a sticking point, and facilitative leadership can and should come from any member of a senior management team. But in general teams tend to look to the person formally in charge to provide that leadership. And when the person ‘in the chair’ does not steer the proceedings explicitly, then discussions start to drift. They lose shape and consume time, as individual team members are effectively left to follow their own tendencies. The usual result is that some hold back, while others plough on, using their own preferred voice/s rather than giving much thought or attention to which ‘voice’ would make the conversation as a whole most productive. 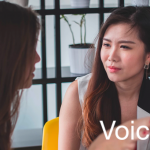 This is where VoicePrint can focus the lens to allow teams to work with their particular conversational dynamics and allow the leader of the team to zoom in on the effects of his own pattern of voices on these meetings. 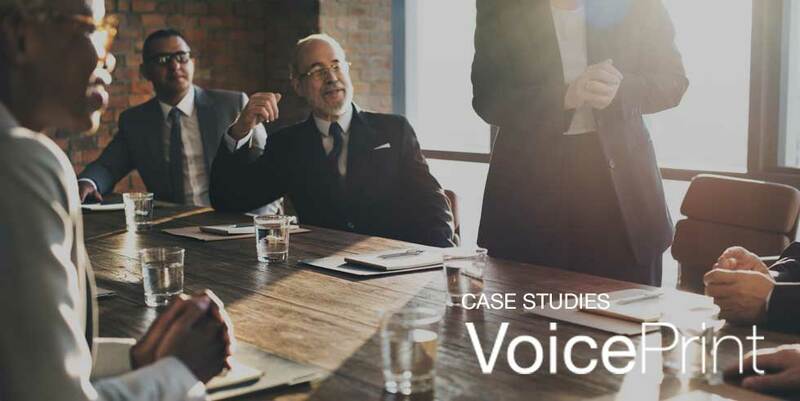 VoicePrint taught this leader and his senior management team the importance of making and keeping the purpose and process of their meetings clear. Even before the end of the away day Stuart had started to shape the proceedings in a more conscious way that helped his people to recognise how they were being invited to contribute. He had learned to keep the purpose and process of the meeting focused and clear. The timely use of the Challenge voice, as a means of re-focusing the proceedings, is an especially important part of a team leader’s repertoire. What comes next depends on the purpose and needs of that particular conversation. For their part, team members started to recognise, name and select the voices that they were using to contribute to the proceedings. The discussions not only flowed better; more importantly, they became more productive. ‘Voice’ can be a great connector or a great divider. As this team quickly discovered, having and using that awareness is a small change that can make a big difference. 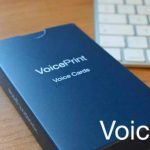 VoicePrint’s self-perception, 360 and group profile diagnostics all help teams to develop. 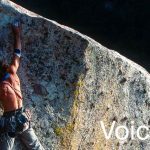 Accredited VoicePrint practitioners are often called on to help teams to perform more effectively. Do you work with a team whose members might benefit from increased awareness, sensitivity and skill in how they talk and interact? Have a conversation with us.